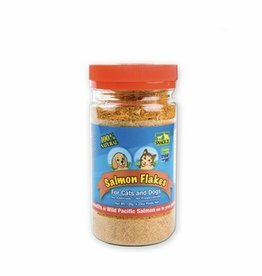 Snack 21's Salmon Flakes are made only from wholesame ingredients. They are made from only Wild Pacific Salmon with no by-products, fillers or rendered materials. They are processed under strict quality control to meet the highest standards of nutrition.